Best Veterinary Solutions, Inc. is a leader in innovative animal health solutions from the world’s highest quality manufacturers. Our mission is to manufacture and supply products and give support to our customers, helping them do the best possible job of caring for their animals at the most reasonable cost. The people at BVS make everything happen. 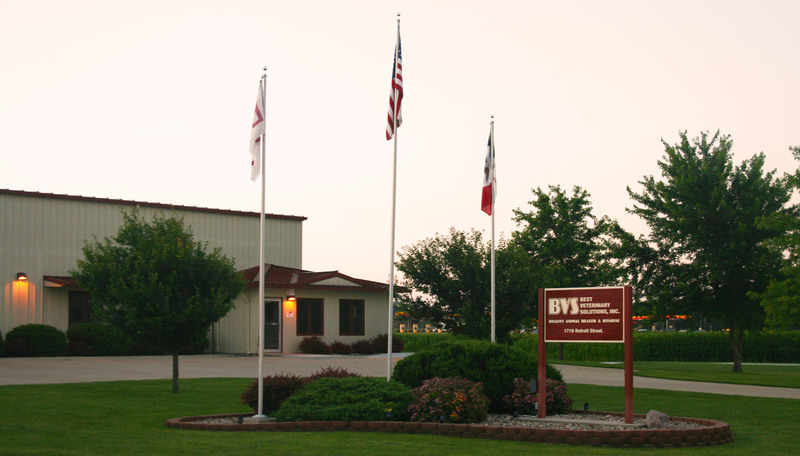 From our customer service and tech support, our delivery drivers and service technicians, our sales force and our production staff, everyone at BVS provides an impact on the industry that helps feed America. We encourage all BVS team members to think outside the box in order to better service our customers and make the industry better. Check out our Careers page for current opportunities to join our team. BVS takes a unique approach on the animal health industry. Our process revolves around service and education for our customers. We want our customers to understand the technology behind our products, and how the proper use of our products can directly affect their bottom line. BVS strives to interact with our customers on a personal level, and that can be seen through all aspects of our service. See our Services page for more information on how BVS can help you! BVS brings in products from quality manufacturers around the globe. As part of what makes BVS different, we also offer custom products manufactured in the heartland of America. Products manufactured by BVS are all made with a with a purpose - to fill the needs of the industry and our growers. Our product list is extensive and continuously expanding to address every new challenge in the industry. Browse through our store for an idea on what we offer, and our production page to learn more about the products we make.